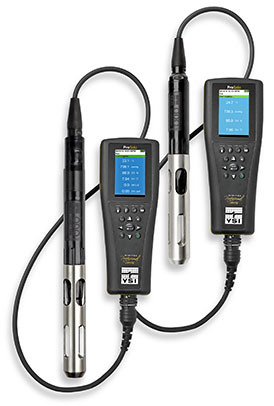 Each instrument provides multiple probe or cable options. Detachable cables and probes mean less downtime. Backlit keypad and display (Pro Plus) or glow-in-the-dark keypad for low light measurements. The flagship of the Professional Series, YSI Professional Plus accommodates any combination of Pro Series probe, cable, and accessory. This compact handheld allows you to instantly change probes and cables. You determine what you want the instrument to measure and display. pH, ORP, ORP/Redox, Polarographic or Galvanic DO sensors, and Temperature. pH, ORP/Redox, Conductivity, Specific Conductance, Salinity, Total Dissolved Solids (TDS), and Temperature. 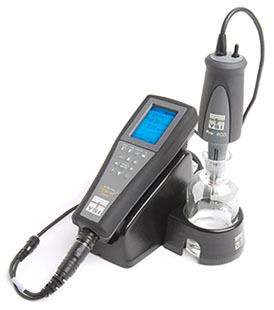 DO, Conductivity, Specific Conductance, Salinity, Total Dissolved Solids (TDS), Barometer and Temperature. 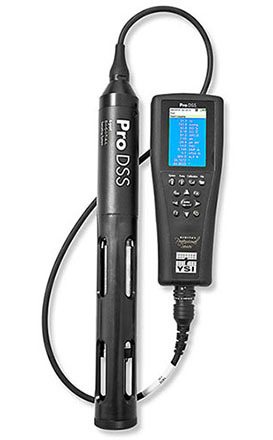 The YSI ProDSS is a rugged single or multiparameter water quality instrument designed for use in applications that include surface water, groundwater, coastal, and agriculture. The ProDSS features optional user-replaceable digital smart sensors that are automatically recognized when connected to the instrument. The optional GPS function, a broad range of sensors, and varying cable options allow for complete customization of the ProDSS. pH or ORP/Redox, and Temperature. Conductivity, Specific Conductance, Salinity, Total Dissolved Solids (TDS), and Temperature. 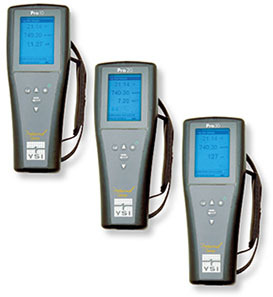 The ProSolo DIGITAL water quality meter features an advanced optical dissolved oxygen (ODO) probe that can be combined with either a temperature (ODO/T) or conductivity (ODO/CT) sensor. The ProSOLO handheld meets the demands of field work with a large LCD graphic display, waterproof case and interchangeable military-spec cable connector. User-replaceable cables are available in lengths that range from 1 to 100 meters. YSI ProOBOD Probe inserted into BOD bottle and connected to a YSI Pro. All are mounted to the YSI Lab Dock. 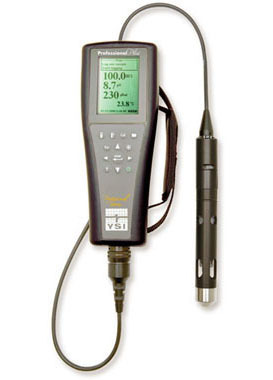 The YSI ProOBOD probe is used with the YSI ProODO handheld optical dissolved oxygen instrument. The ProOBOD easily connects to the ProODO handheld and makes it convenient to conduct lab BOD's with a very compact footprint. 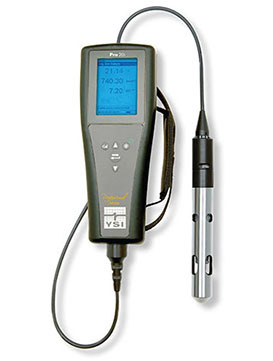 Easy to use, rugged and reliable, the YSI Pro20i provides everything you need in a handheld instrument for the measurement of dissolved oxygen (DO). 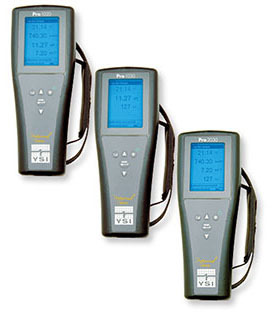 A true field instrument with IP-67 waterproof, rubber over molded case, military spec connectors and 1-meter drop tests ensure durability to provide years of sampling even in the harshest field conditions.